JETMAX SOMETHING SO SMART SHOULDN'T BE THIS MUCH FUN It makes so much sense. The Jetmax is economical to buy and to operate down the road. 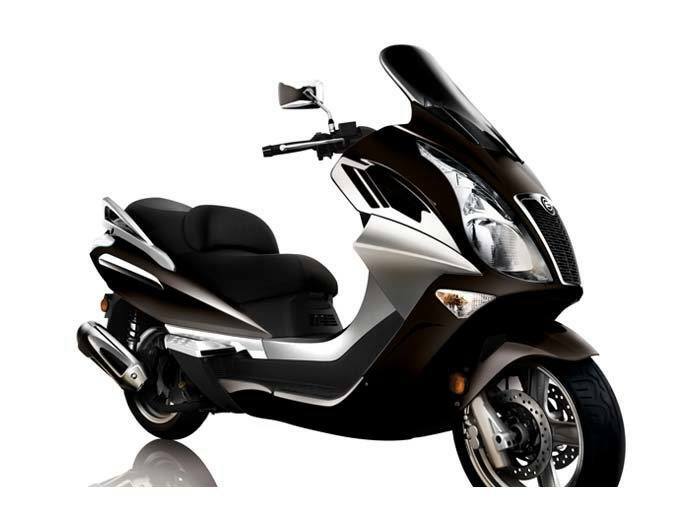 The proven liquid-cooled 249 cc engine with electronic fuel injection provides fantastic fuel economy. It is easy to ride and park. Its straightforward, durable design is wrapped up in elegant style. The CVT automatic transmission means no need to worry about shifting. Just have fun. Lots of fun.